Today no BO and CO due to volatility, try placing MIS order, no issues with order placing. @siva & @nithin sir but CO sends Market order means sure execution then why CO blocked too ? As some strategy makes money in this environments only ! sir but CO sends Market order means sure execution then why CO blocked too ? Can check the below link. Also with this volatility there are more chances that counter stop loss orders for BO/CO will be rejected with “out of execution range” reason from exchange, hence BO/CO positions will be naked. 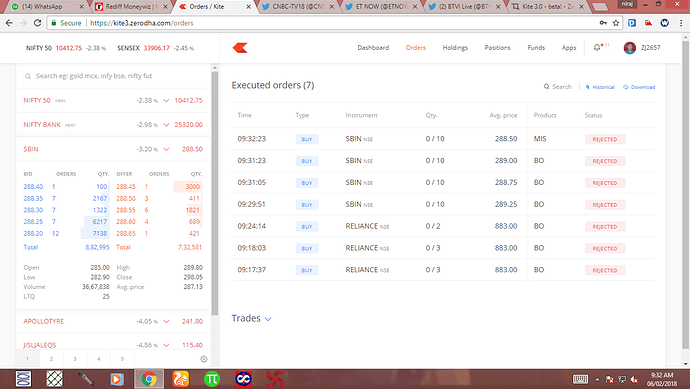 Can someone help me out how a renko box is created for the given box size for various timeframes on kite platform. Is a box created in a 1min timeframe renko chart on kite for the given box size if the price sustains for 1min? one min is way too less for renko ! In one min it will form boxes and disappear too without u even noticing it and confusing it whether it is a new box or the old one ! So what will be ideal time frame for renko in Kite for intraday? what settings do u want to use ? can u send me the screenshot of ur settings of kite ? I have observed difference in prices happen when we change views too in Kite 3. This should not happen ideally. Can we look and have it resolved as soon as possible as this is a BIG bug. I have observed difference in prices happen when we change views too in Kite 3. Are there any plans to include support for charts on Kite3 using IE11? No, IE is not supported. 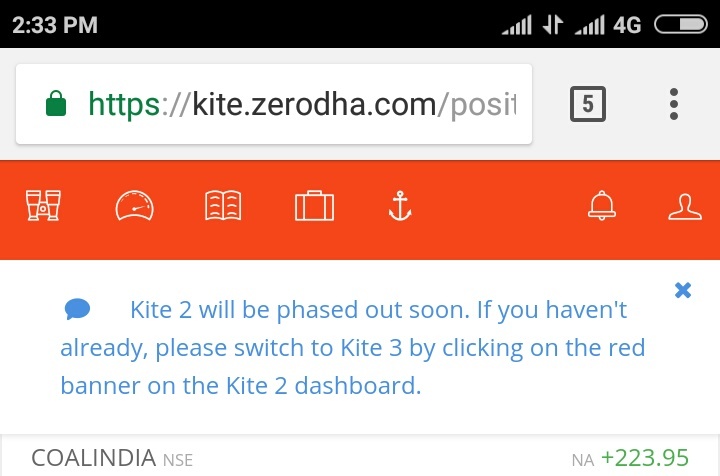 Not even a single bug that we have reported in kite 3.0 has ever been resolved afaik!!! Hey, @siva What’s this hunnn??? Charts are still buggy not sure what to do I think we have to rely on ticker only.